A reconstruction of the extent of various Chinese realms since the Zhou. From Portuguese China, perhaps from Hindi चीन (cīn) and ultimately from Sanskrit चीन (cīna, “the Chinese; China”) of uncertain etymology. It is usually thought to be derived from 秦 (qín, “Qin”), Middle Chinese: 秦 (MC d͡ziɪn), Old Chinese: 秦 (OC *zin), the westernmost ancient Chinese state, but other theories have been proposed, including derivation from 晉／晋 (jìn, “Jin”), Middle Chinese: 晉 (MC t͡siɪnH), Old Chinese: 晉 (OC *ʔsins), 荊／荆 (jīng, “Jing”), or the Zina of 夜郎 (Yèláng, “Yelang”). See "Names of China" at Wikipedia. A nation or civilization occupying the country around the Yellow, Yangtze, and Pearl Rivers in East Asia, taken as a whole under its various dynasties and inclusive of Taiwan. The great China, whose kyng is thought... the greatest prince in the worlde. If he tells them to build a palace forty miles long, out of di'monds, and fill it full of chewing gum, or whatever you want, and fetch an emperor's daughter from China for you to marry, they've got to do it—and they've got to do it before sun-up next morning, too. The People's Republic of China, the principal state in this country. And I met with the President of China at great length in Florida, and we had long, long talks—hours and hours and hours. (botany) Clipping of China rose: various flowers. (botany, beverages) Clipping of China tea. My name is China Bayles. I'm the owner of Thyme and Seasons and the co-owner, with Ruby Wilcox, of a new tearoom called Thyme for Tea. 'What's her name, this girl?' The fight had hoarsened Lynne's voice, and the words came out strangely staccato - a wooden doll that had just learned to speak. 'China,' he mumbled, feeling an obscure desire to invent a pseudonym for her. An 1844 map of China (i.e., the Qing Empire), including Taiwan, Mongolia, Korea, eastern Manchuria (now Russian), and Assam in India. A 1932 map of the Far East, showing China (i.e., China Proper) without Manchuria, Mongolia (i.e., Greater Mongolia), "Sinkiang", "Tibit", or Japanese Taiwan. A map of the divisions of the Republic of China in 1944, from the American propaganda film Why We Fight: The Battle of China. The CIA's 2008 map of China, showing the PRC's claim on Taiwan (but not the South China Sea) and India's claim on the PRC (but not China's on Arunachal Pradesh). A 2002 map of the railways of China, showing the PRC and ROC's nine-dash claim in the South China Sea. Both Chinas also claim the "Diaoyu" Islands, currently administered as Japan's Senkakus. 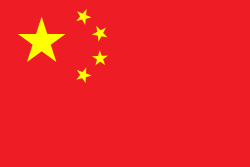 The plural China refers to the People's Republic of China (German: Volksrepublik China (short: VR China), Festlandchina, Rotchina) and the Republic of China (Taiwan) (German: Republik China (auf Taiwan), Inselchina). Das waar im China gemach. ― This was made in China. In Indonesia, this term is still also in common use, but (as of March 2014) it is rarely used by most Indonesian-language media and is no longer used by the Indonesian Government because of the extremely offensive nature of the standard form Cina. From English China, from Middle Persian [script needed] (ṣīn, “Chinese; porcelain”), probably from Sanskrit चीन (cīna, “a people of south-eastern Tibet”). Perhaps from Hindi चीन (cīn) and ultimately from Sanskrit चीन (cīna). For quotations of use of this term, see Citations:China. Ultimately from Sanskrit चीन (cīna).